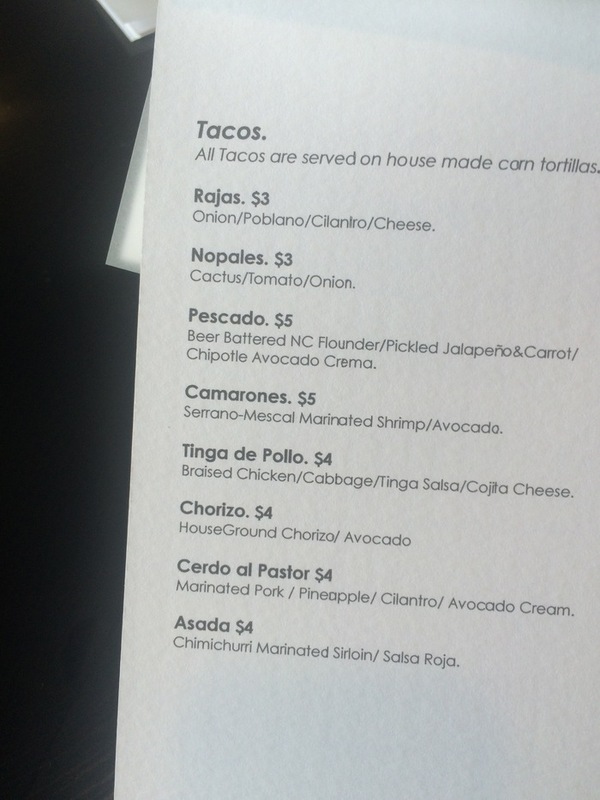 Comida is now open in Plaza Midwood and I love it. And it delivers. Here’s what to expect. 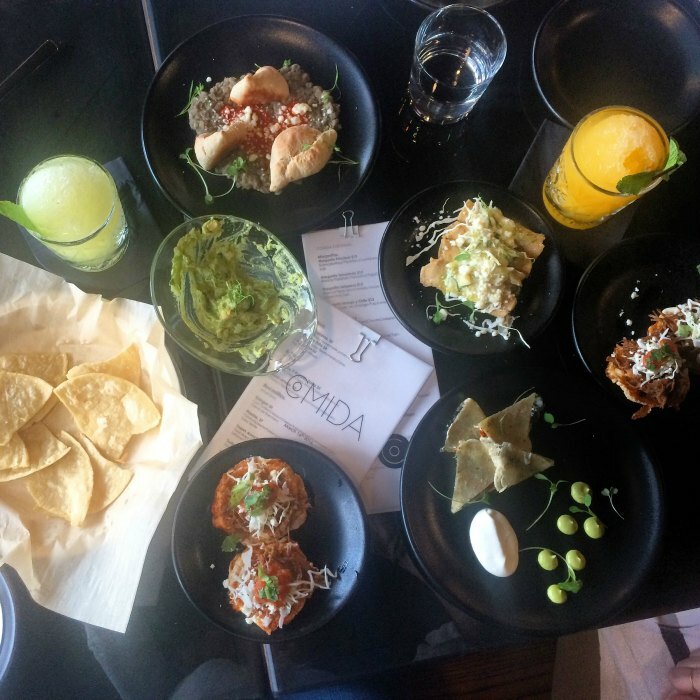 Comida’s decor is clean, fresh and minimal. 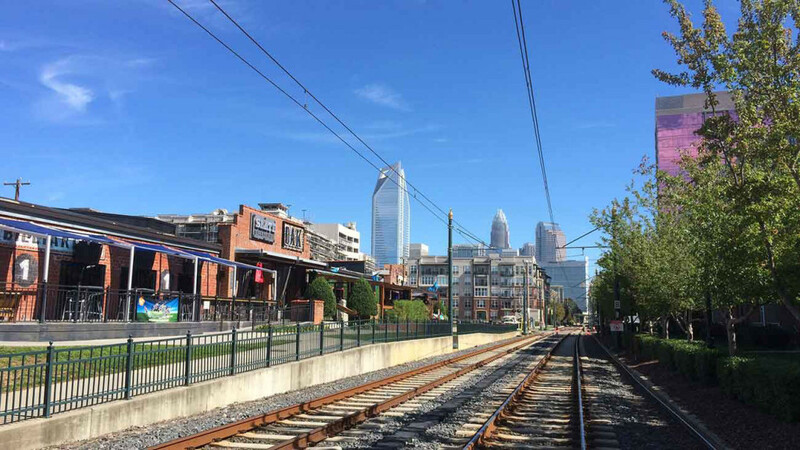 You’ll find it in Plaza Midwood in the slickly renovated former home of the iconic Penguin drive-in. 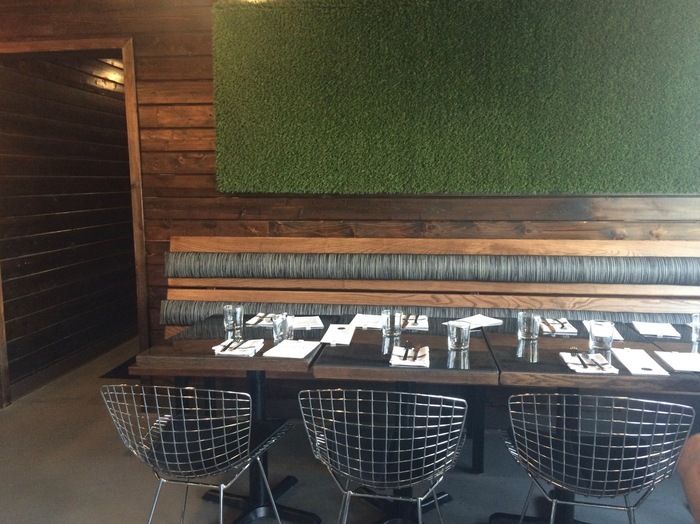 The main dining area features dark wood paneled walls, industrial metal chairs and a large swath of bright green astroturf on the wall. You’ll also see the grass motif repeated on their website and on an exterior wall facing Commonwealth Avenue because they are branding geniuses. 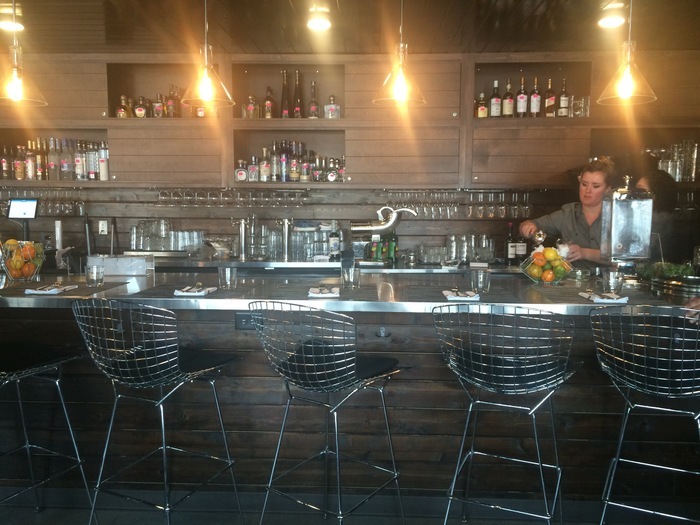 The bar is a dominant feature running most of the length of the main room. It’s topped with baskets of fresh citrus fruit that aren’t just for show. All the cocktails really are prepared with fresh squeezed fruit. No neon green sour mix here, folks. 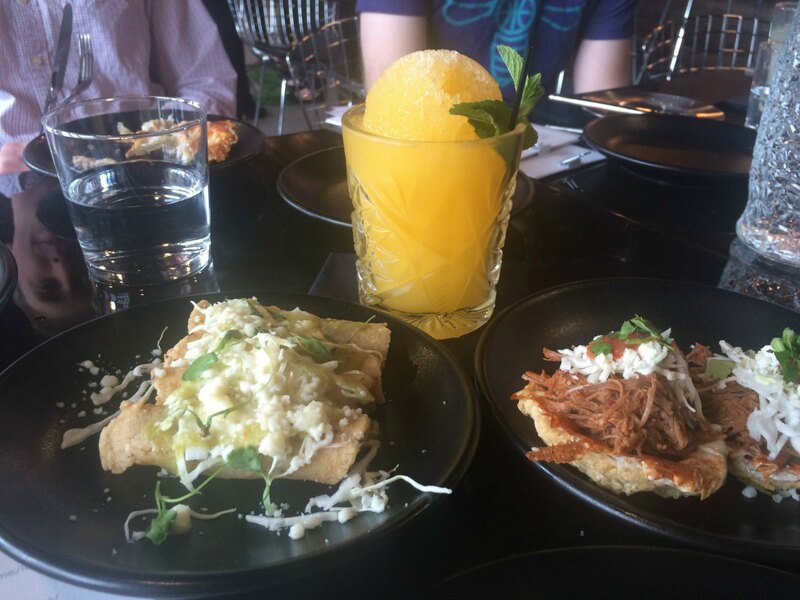 Tequila is the star of the show on an impressive cocktail menu. Inventive specialty margaritas showcase ingredients like tamarind, jalapeño, mango and chile. 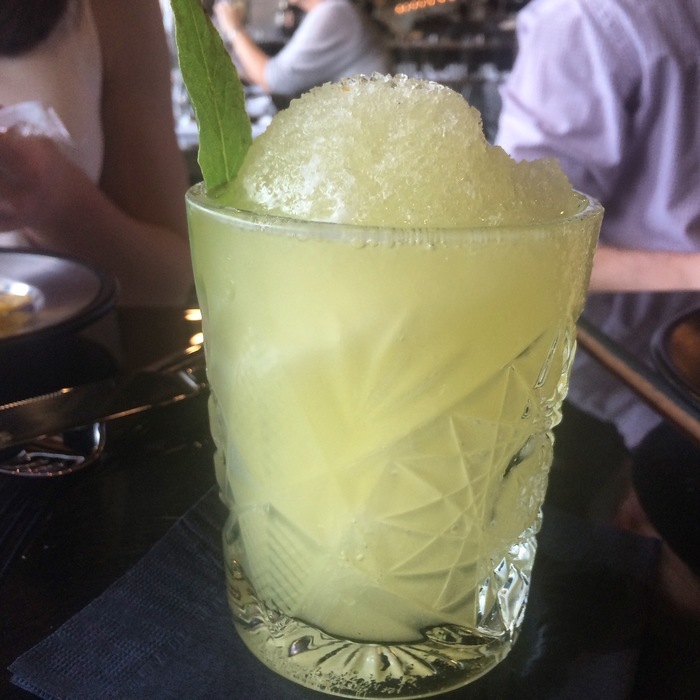 The cocktails with crushed snow cone-style ice, like the Piña Ahumada ($14) shown below, will absolutely rule the summer. If you hate tequila and its cousin mezcal (what’s wrong with you? 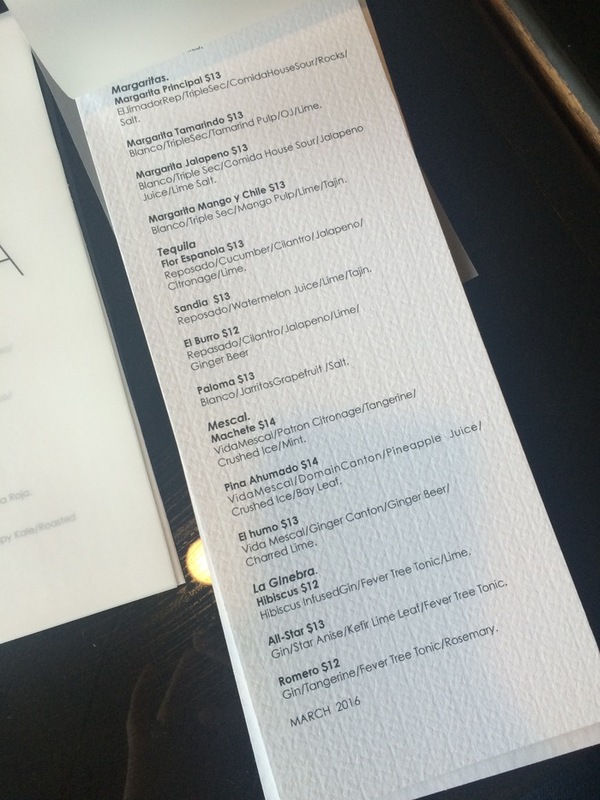 ), they also offer up three gin (ginebra) cocktails that sound incredible. Sign me up for the Romero ($12) with gin, tangerine, tonic and rosemary. 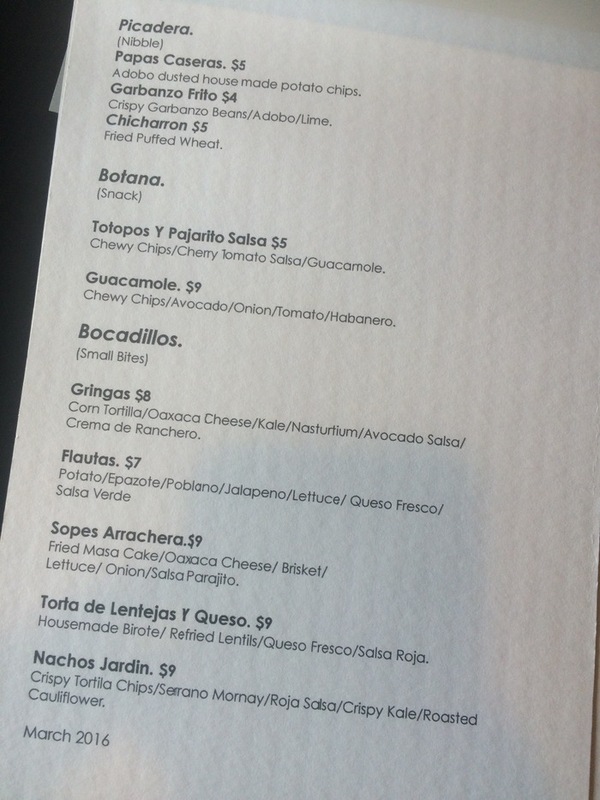 When it comes to appetizers and small bites, the totopos ($5) are a must order. 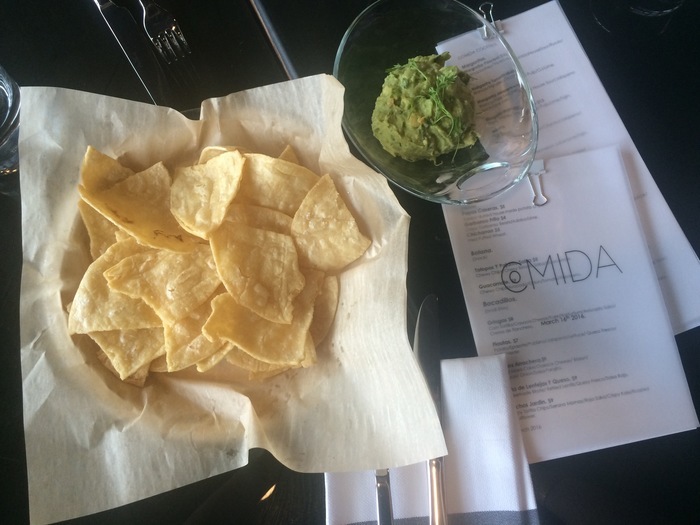 Not to be mistaken for standard crispy tortilla chips, these are actually crispy on the outside and chewy in the middle. Unlike anything I’ve ever had. Major crowd pleaser. But save room for more small bites because they’re all good. 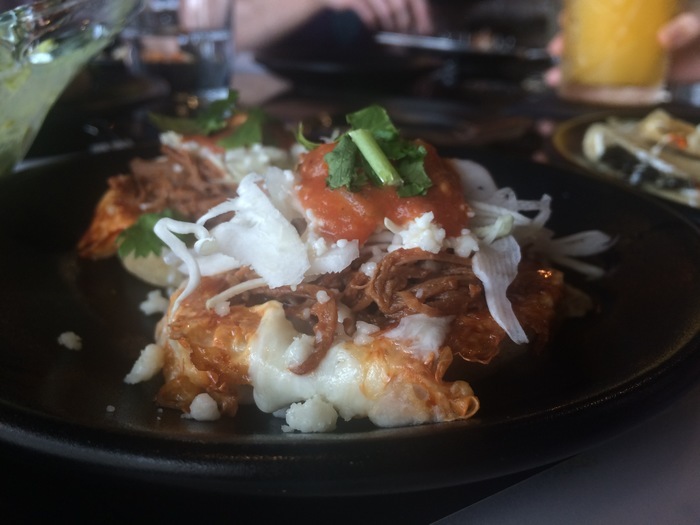 The Sopes Arrachera ($9) are two fried masa cakes topped with crispy skillet-seared Oaxaca cheese, brisket, lettuce, onion and salsa. 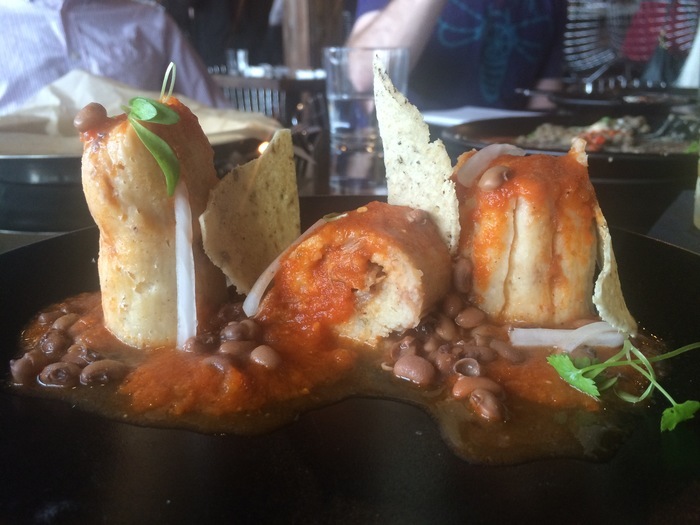 If you’re vegetarian, I’m told they’ll offer this topped with lentils in the future. 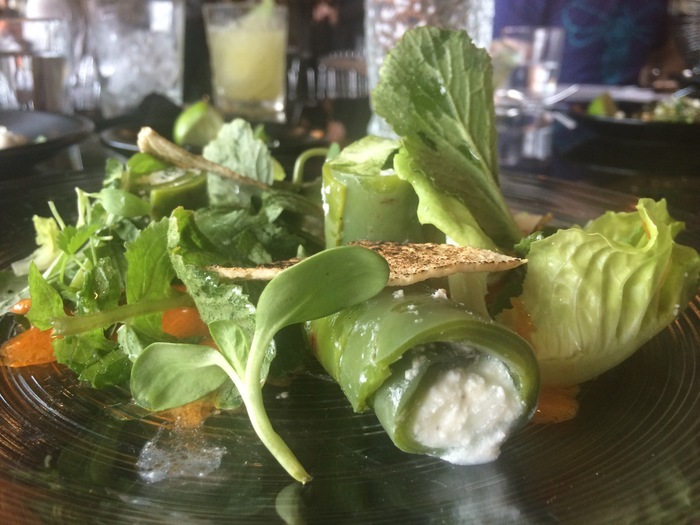 Until then, get the Gringas ($8), a corn tortilla filled with Oaxaca cheese, kale and nasturtium (an edible flower). 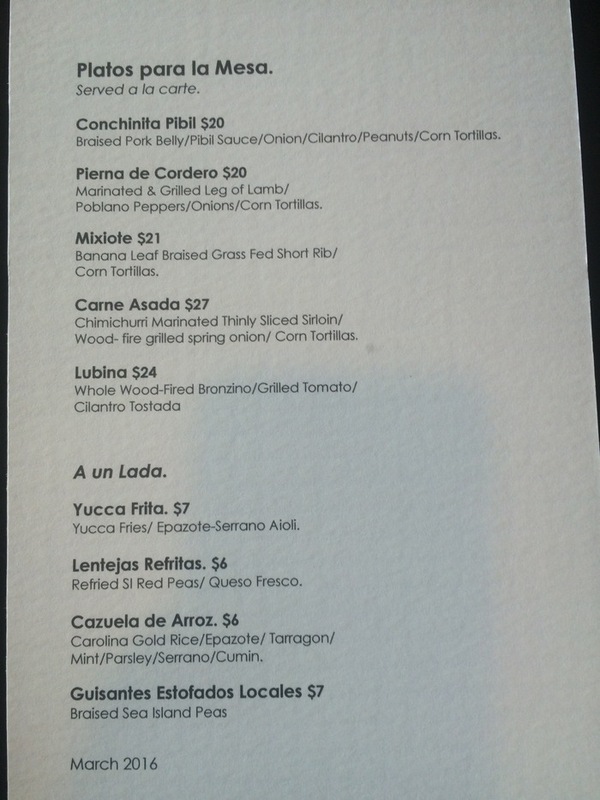 The next menu section is tacos and if you can’t decide what you want, just do what we did and order them all. 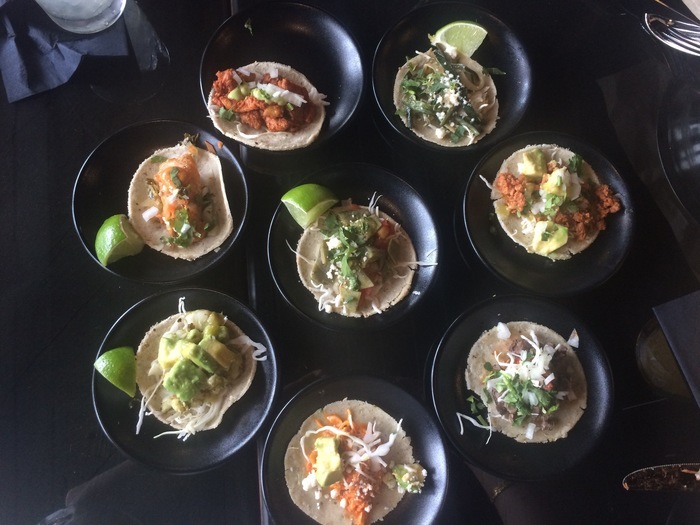 These are tiny little tacos and our server recommended 3 to 4 per person ($3 to $5 each). Fillings include beer-battered flounder, shrimp, braised chicken, chorizo, pork and sirloin. 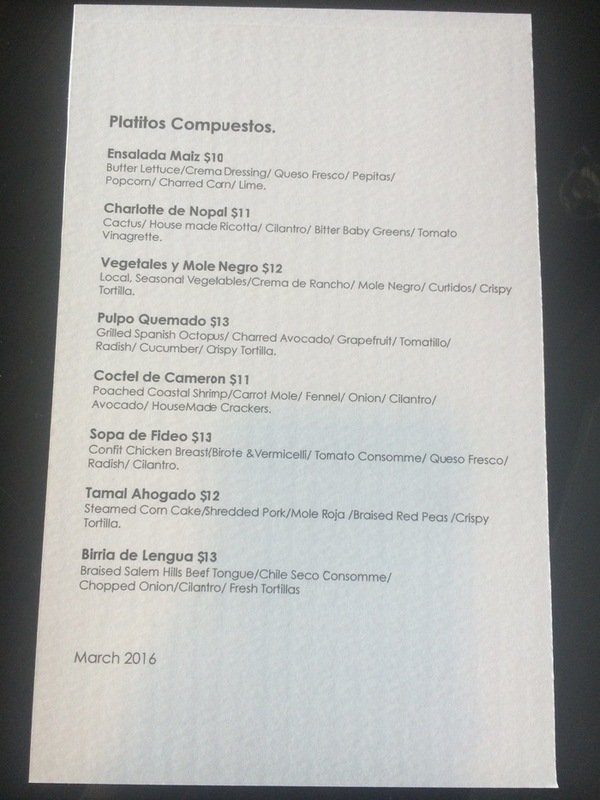 There are also two vegetarian options, one with nopales (cactus) and the other with onions and poblano peppers. 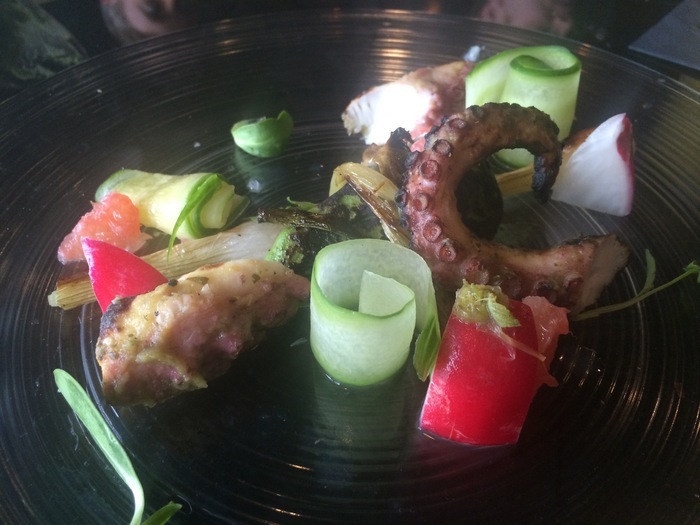 We got the Charlotte de Nopal ($11), a unique ricotta-stuffed cactus served with bitter baby greens and tomato vinaigrette; Pulpo Quemado ($13), grilled Spanish octopus with charred avocado, grapefruit, tomatillo, radish, cucumber and crispy tortilla; and the Tamal Ahogado ($12), a steamed corn cake stuffed with shredded pork and served with mole roja and braised red peas. We didn’t make it to the last page but here’s a look at what you’ll find. 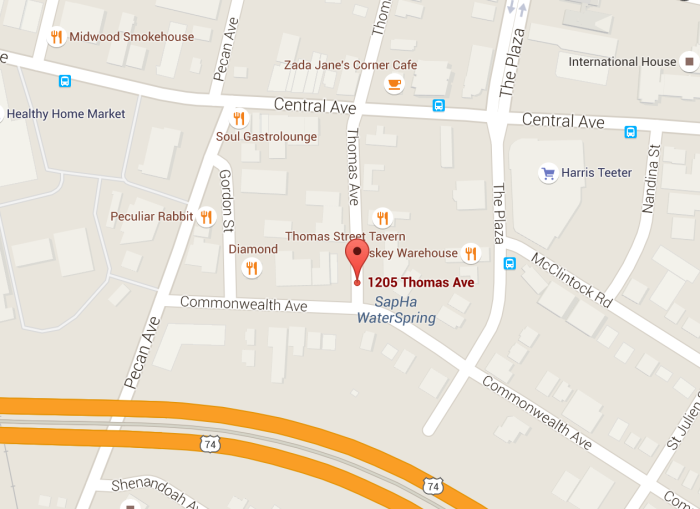 Comida is located at 1205 Thomas Avenue. They’re open Tuesday – Friday 3 p.m. to 12 a.m., Saturday 12 p.m. to 12 a.m. and Sunday 12 p.m. to 9 p.m. Reservations are accepted and recommended: 980.498.6576.